Saudis say Houthi ballistic missile fired at Riyadh airport built in Iran, firing of missile an "act of war." Saudi Arabia called the firing of a ballistic missile at the international airport in Riyadh from Yemen an "act of war" by Iran and vowed to retaliate Monday. Iranian-backed Houthi rebels fired the missile at Saudi Arabia over the weekend. The missile traveled over 500 miles before being shot down over Saudi Arabian territory. The official Saudi Press Agency stated that the examination of the missile's debris proved that the weapon had been manufactured in Iran and smuggled to rebels in Yemen. The Saudi Press Agnecy stated that the firing of the missile was "a blatant act of military aggression by the Iranian regime and could rise to be considered as an act of war." Saudi Arabia “reserves its right to respond to Iran in the appropriate time and manner, in accordance with international law and based on the right of self-defense," the press agency added. Saudi Arabian Foreign Minister Adel bin Ahmed al-Jubeir said in an interview with CNN: "We see this as an act of war. Iran can not lob missiles at Saudi cities and towns and expect us not to take steps." Iranian Foreign Ministry spokesman Bahram Qassemi called Saudi Arabia's claims "false, irresponsible, destructive and provocative." 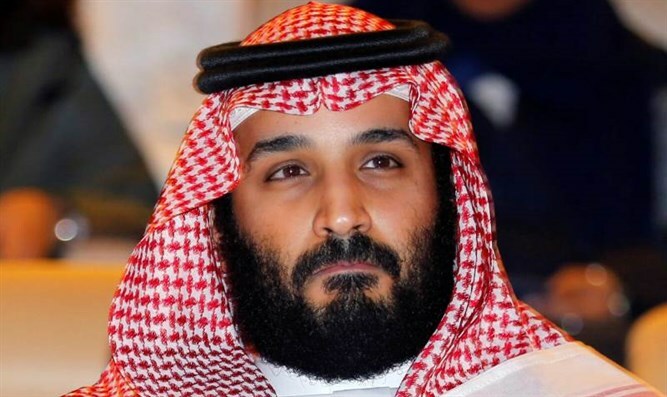 The rise in tensions between Sunni Saudi Arabia and Shiite Iran comes just a few days after the arrest of dozens of Saudi Princes, senior military officers, businessmen, and other top officials in a sweeping crackdown on corruption in the kingdom by 32-year-old Crown Prince Mohammed bin Salman.